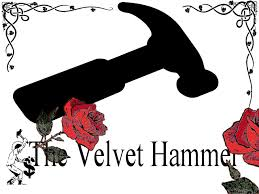 I was once referred to by a volunteer as “The Velvet Hammer” in reference to the fundraising visits we had done together while I worked for United Way. We laughed pretty hard at that choice description and there was no mistaking the compliment he intended. If your volunteer relationships sound like this, stop reading and go get a Snickers bar. If your relationships could use some work, read on. I specialize in major gifts and I need high-profile corporate and community leaders on visits where I’m asking for five- and six-figure donations. But we all know that high-profile volunteers can also be high-maintenance. Managing their schedules, getting them to book visits and briefing them for the meetings can sometimes seem like too much trouble – until we remember that people are more likely to give when asked by their peers (not by a pesky but well-meaning fundraiser). 1. Connect with your volunteer on LinkedIn to explore potential prospects. Book her for a meeting to discuss them and get her to think of others. Bring her a list of any people you’ve been trying to connect with to see if she knows them. Tip: NEVER do this with a group (like your board). People like to brag about who they know and you’ll find the follow-through is weak as a result. 2. Select three top prospects from the meeting based on linkage, ability and interest and email these back to your volunteer. Include any history they may have with your organization. Script an email she can send to each, telling them she’s volunteering to spread the word about the organization’s mission, and asking for a brief meeting. Tip: Enter these prospects on the volunteer’s profile in your database. 3. Nag her again in two weeks, because I have only known two volunteers in my 15 years of fundraising who did their calls without being gently nagged. Tip: Task the nagging in Outlook, along with the names of the prospects, for easy reference. 5. One week prior to the meeting, send a briefing note to your volunteer (1 page max, she’s busy!). Tip: Include current info on your prospect and his company, giving history and volunteer work. 6. At the meeting, allow the volunteer and prospect to have some small talk, then ask him if he’s heard about your charity. Don’t do a big presentation. Start a conversation with a few words about what your organization does. Ask the prospect what kinds of community initiatives he’s involved with. He’ll tell you everything you want to know. Tip: Don’t bring any materials. They’re a distracting crutch and you’re supposed to be having an informal meeting. If he wants to see the annual report or something else, then that gives you a nice little follow up! 7. Thank both parties by email afterwards. Be sure to let the volunteer know what happens as the relationship progresses with the new prospect. Tip: If the prospect is older or well-known in the community, do a hand-written thank you instead. Always be positive, organized and confident with your volunteers and their trust – and willingness to prospect – will grow steadily. It’s simple once you get in the swing of it. Good luck! Love these tips! Will keep this article for future refreshers.